Underrepresentation of women in business is a missed opportunity, from both social and economic standpoints. Women represent the largest market opportunity and control $20 trillion in annual spending. When we invest in women, their communities, states and countries prosper, which generates a multiplier effect and sets a positive example for the next generation of girls. In fact, it’s been shown that when women earn an income, they invest 90% back into their communities. However, making it in business is no easy feat, especially for women, who face a long list of challenges that their male counterparts do not. These include cultural and political barriers, a lack of mentoring and a serious lack of funding. 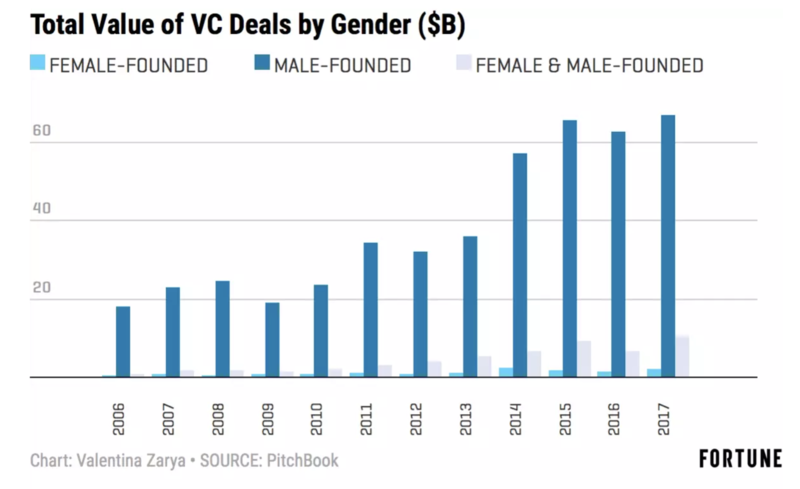 In 2017, only 2% of venture funding went to female founders. Nevertheless, women’s entrepreneurship rates rose globally by 13% in 2017 and continue to rise, reflecting broader momentum of increased female representation across the public and private sectors in many regions of the world. In an effort to ensure parity and prosperity for women entrepreneurs globally, the public and private sectors must work together to remove the barriers holding women back. Changing legislation is part of the solution. I've met with members of the United States Congress about the Small Business Act, which is designed to help disadvantaged small business owners compete in the marketplace. I’ve also advocated for UN Sustainable Development Goal 8, which supports entrepreneurs and the jobs they create. But changing laws takes time, and more support is needed to push these necessary changes into action. The power and influence of the business and policy leaders attending the World Economic Forum Annual Meeting 2019 creates an opportunity to make real and immediate changes that will increase the odds for women entrepreneurs. As leaders, we must consider the following four issues. 1. How can we improve access to and development of financial and human capital? 2. How can we help facilitate connections by increasing access to local and global networks and markets? 3. How can we help entrepreneurs embrace diversity in their hiring, culture and thought? 4. How can we support women’s entrepreneurial growth in the face of changing technology? I invite you to join me in this much-needed conversation, to debate the issues and discuss actionable next steps. For every woman entrepreneur we help raise up, perceptions will change, and so will actions.